Imagine – after a long day at work, coming home to a beautiful outdoor space with all the comforts of the indoors. Relax on your patio in the comfortable lounging area with the soothing sounds of a water feature in the backround. Maybe you throw some steaks on the grill in your outdoor kitchen complete with a refrigerator, cook top, bar and a functioning wood fired pizza oven. On those chilly nights curl up in front of your outdoor fireplace and make smores. 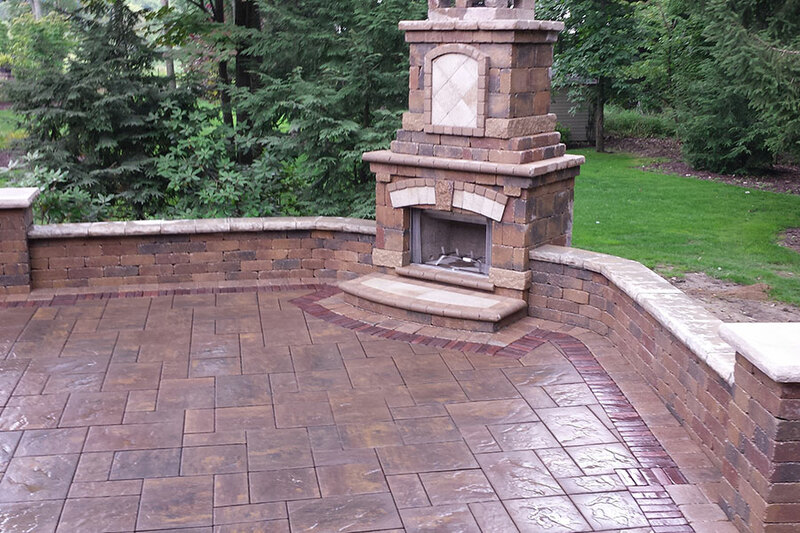 Esposito Landscaping can make this a reality for you. In addition to outdoor living spaces we also offer hardscape installations that add functional detail to your new or existing landscape. A tiered garden wall can be a great way to add valuable space to an uneven terrain. Pathways can provide access and detail to planting areas and entrance ways. 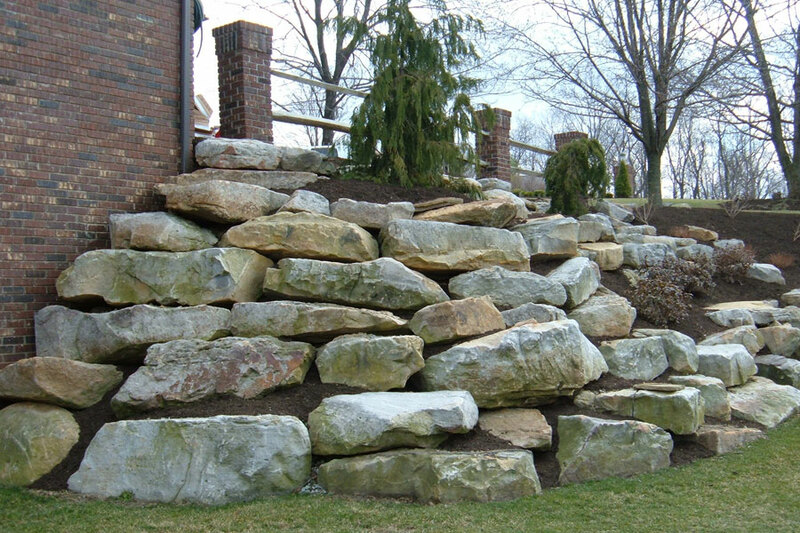 Retaining walls can be used to stabilize areas prone to soil movement and provide drainage to areas where needed. Allow us to completely renovate, or maybe just refresh the outside of your home. If you’re building a new home contact us for assistance with your landscape design plans. We can design a plan that adds both beauty and value to your property. Every design is completed with you the customer in mind. 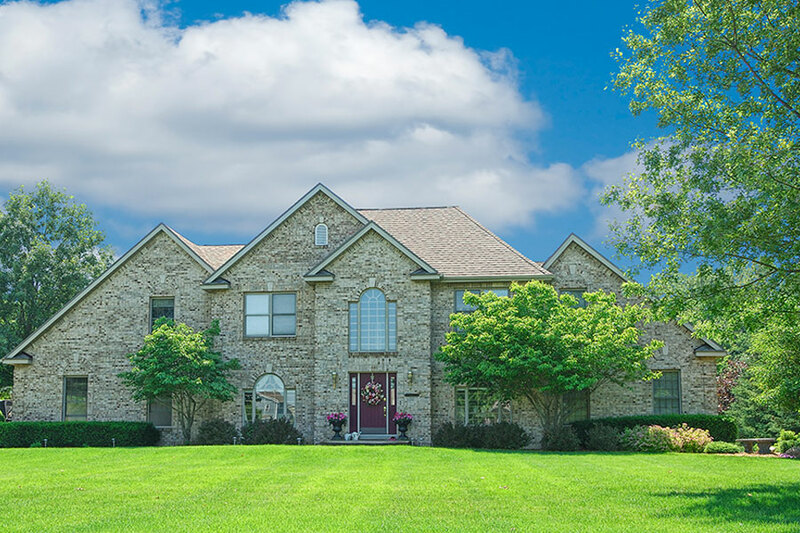 All projects large or small are completed with quality, integrity and customer satisfaction in mind. .
Let Esposito Landscaping add curb appeal to your property by transforming your current outdoor space. Add safety and security to your home while extending the time you can enjoy your outdoor space. We can design a plan to add beauty and function to your home for years to come. Light walkways and stairs, and highlight trees, shrubs and architectural elements around your home. The possibilities are endless. We use a wide variety of Kichler Products including LED path, spot and accent lights. The low-voltage outdoor lighting is energy efficient having little impact on your utility costs while adding invaluable security. 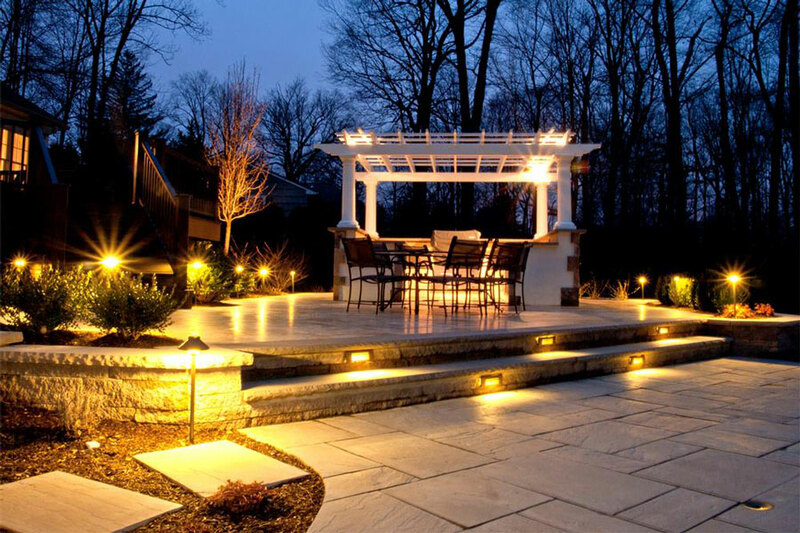 Contact Esposito Landscaping to discuss the lighting options for your property. Every outdoor space needs some TLC. Let Esposito Landscaping maintain your yard leaving you time to keep up with the growing demands of your life and allowing you to sit back, relax and enjoy.